Get your signature line products here! A New Chi offers skin care with a difference. Step into our world of tranquility and you will immediately feel relaxed. Feel the positive energy flow into your mind and body. Our goal is help you de-stress and feel completely rejuvenated. Our calm and serene environment is the perfect atmosphere to let your skin rest and get back in good health. We offer a wide range of facials and holistic skin care treatments that are designed to help you experience utter bliss, lift up your spirits and make you look good. A New Chi boasts of a trained and professional team of experts, state of the art spa and facial treatments, superior customer service and top notch products which will help rejuvenate the skin, correct skin disorders, smooth away the signs of aging, soothe the irritated and stressed skin – in short, give you just the pampering you deserve. What techniques will be best for your skin, which products will work best and what your skin needs – you will get answers to all your questions right here. The service you choose will be suited to your specific skin type and needs, like the facial for sensitive skin spa services offer. We promise that when you walk out you will not only look good but feel great too! Our services include gentlemen’s facials, advanced anti-aging facials, microdermabrasion and waxing among others. Our expertise is in blending signature products with specialized techniques which can completely transform your skin. We have a line of therapeutic solutions and different facial treatments that are designed to tackle all kinds of skin problems head on. Trust yourself with the best and see the difference. No matter how busy we keep, looking good is a priority. Now you can get products for all your skin care needs right here. From the skincare basics and facial spa products to specialized aromatherapy products and moisturizers, we have it all. As you browse through our products you will see that great skin care doesn’t have to be expensive. You can find the right products at the right prices, right here! 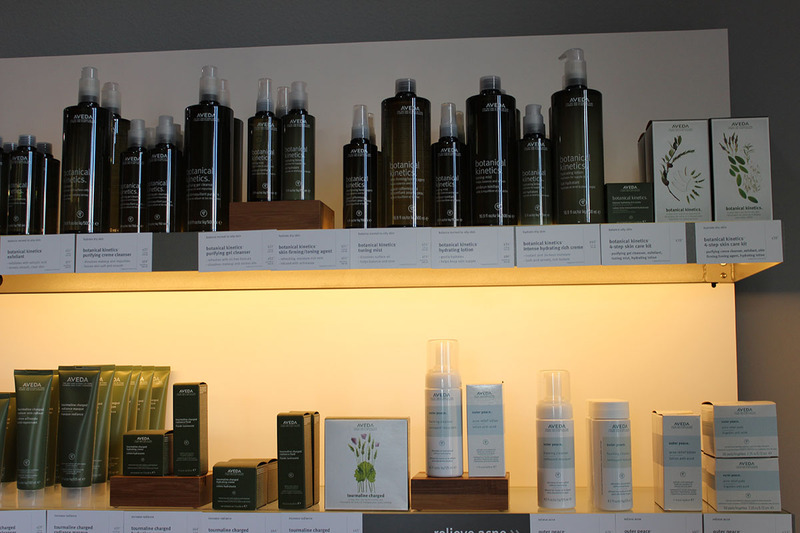 A New Chi is proud to be associate with Aveda. We feature signature line products across the brand.